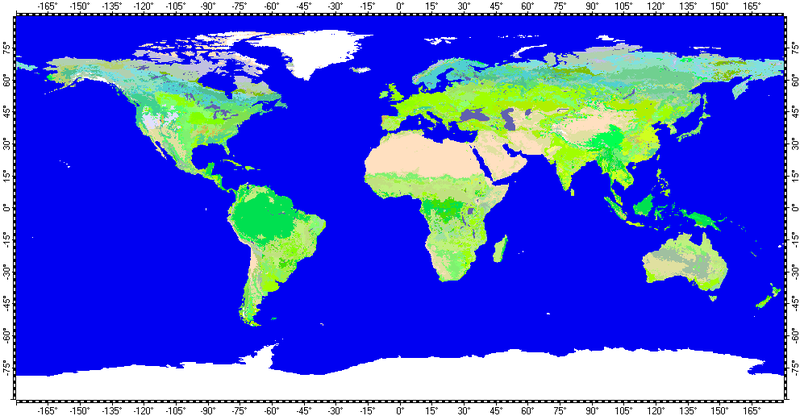 The datum of Olson Global Ecosystems characteristics of Earth, included in the archive, derived from raster data of Global Land Cover Characteristics (GLCC) database, version 2.0, distributed by the USGS EROS data center. Base resolution of the datum is 30". OGE2.zip - Size: 57,319,095 bytes (54.6 MB); MD5: 6E2CBAEDED46D9B2623D039B55366481.